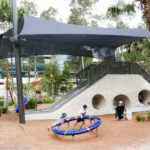 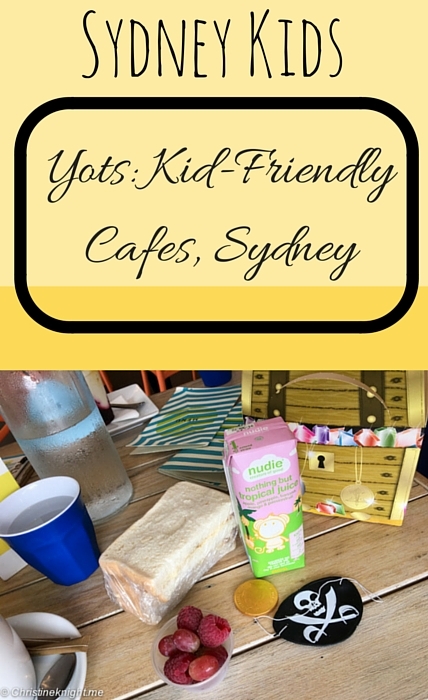 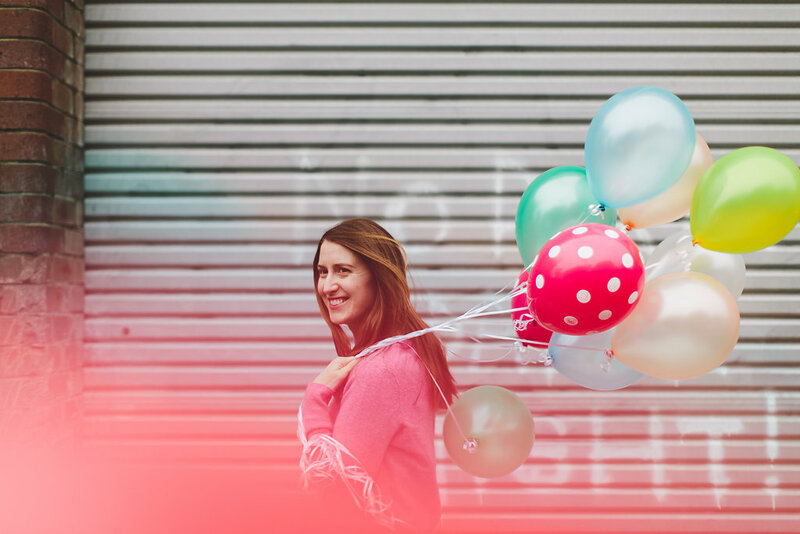 Yots Cafe: Kid-friendly Restaurants, Darling Harbour, Sydney - Adventure, baby! 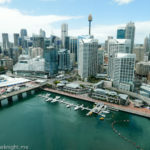 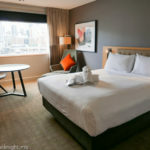 We end up in the Darling Harbour area quite a lot due to its proximity to the Powerhouse Museum, excellent water playground and Maritime Museum. 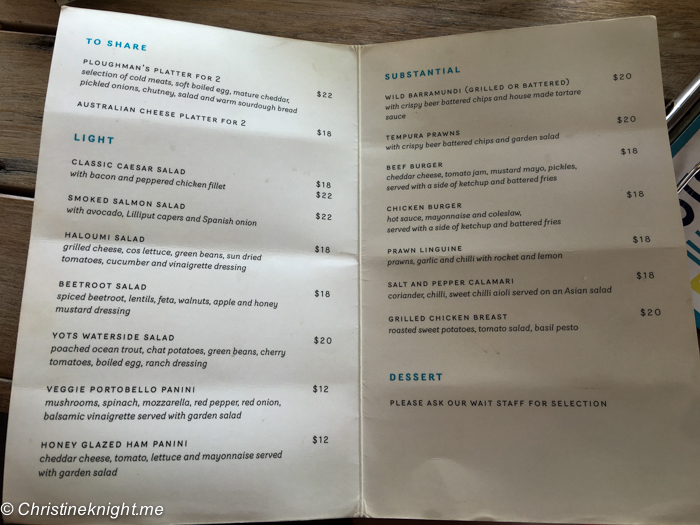 Finding somewhere to eat that is reasonably priced and also great for kids is a bit of a challenge. 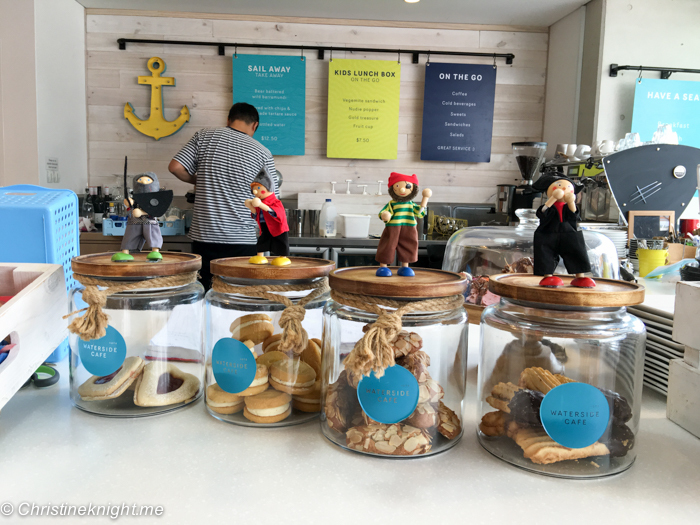 I’ve recently discovered Yots Cafe, a super cute nautical themed place attached to the outside of the Maritime Museum. 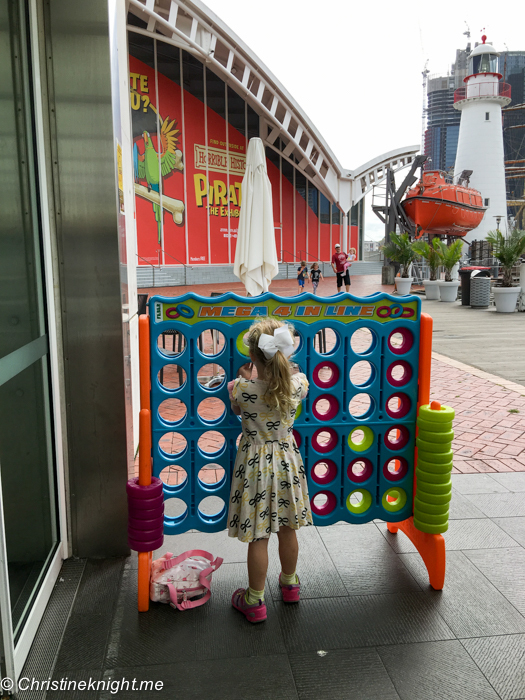 It’s almost impossible to drag kids past this cafe when they spot the giant connect four game that is out the front for its customers to use. 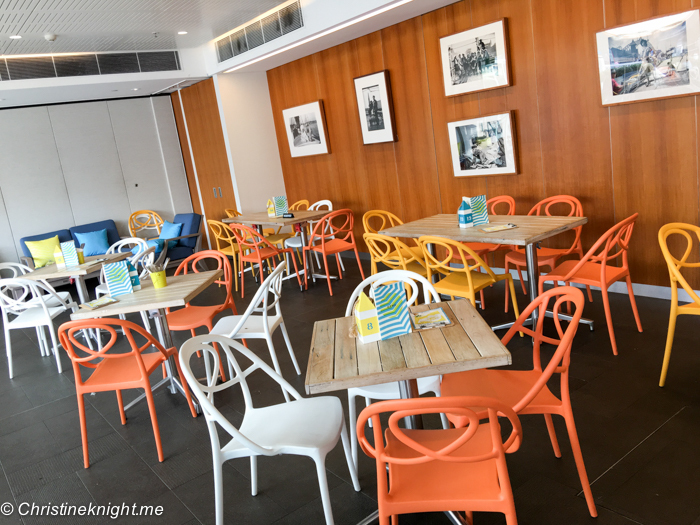 I’ve also seen kid-sized tables and chairs out the front on previous visits, although they weren’t there when I dined recently myself. 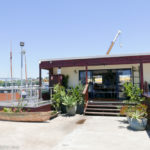 The view from Yots is pretty stunning, which you do pay for in the prices of the menu. 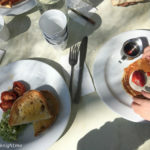 You can however get takeaway items for yourself and the kids if you prefer to grab a meal and eat it on a nearby bench or park. 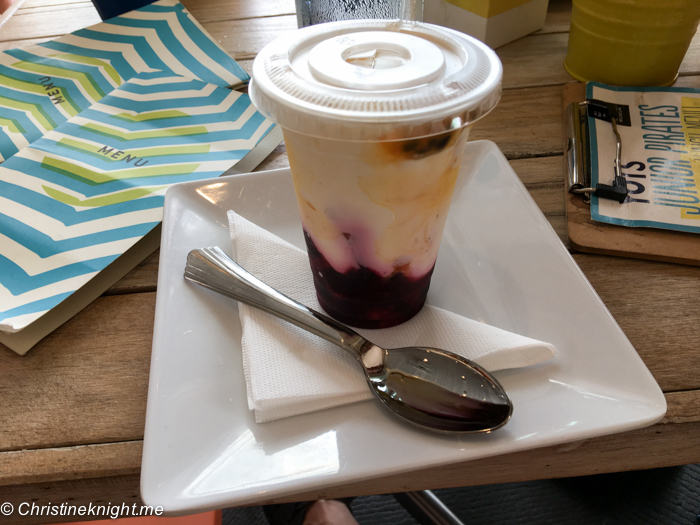 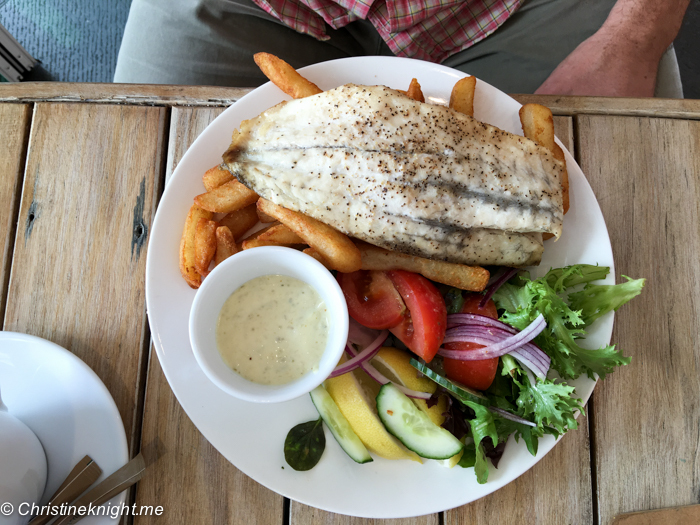 We chose to dine in, and hubby ordered the Wild Barramundi (grilled or battered, with beer battered chips and house made tartare sauce, $20), while I struggled with no brunch/brekkie items for a vegetarian and settled for a yoghurt cup ($6). 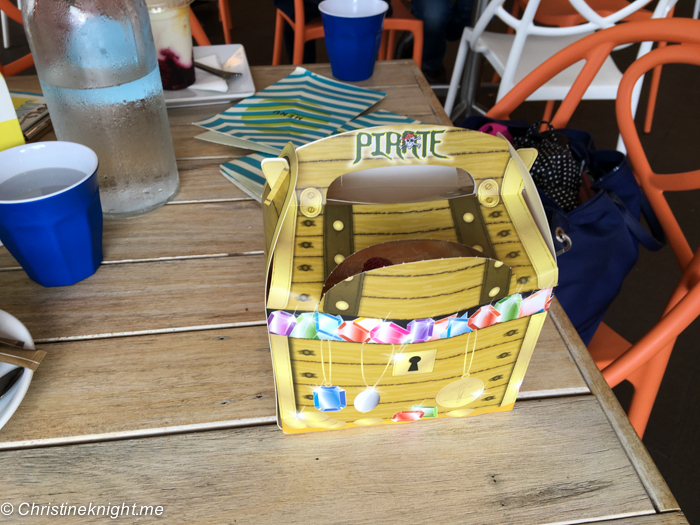 Cheese had just eaten and wasn’t hungry so we let her play and ordered her a takeaway lunch box for $7.50. 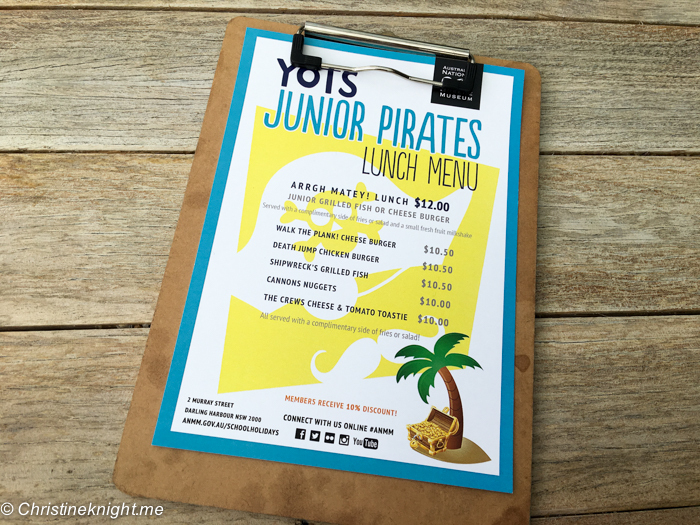 Dine in options for kids start at $10 which is very reasonable for city lunches. 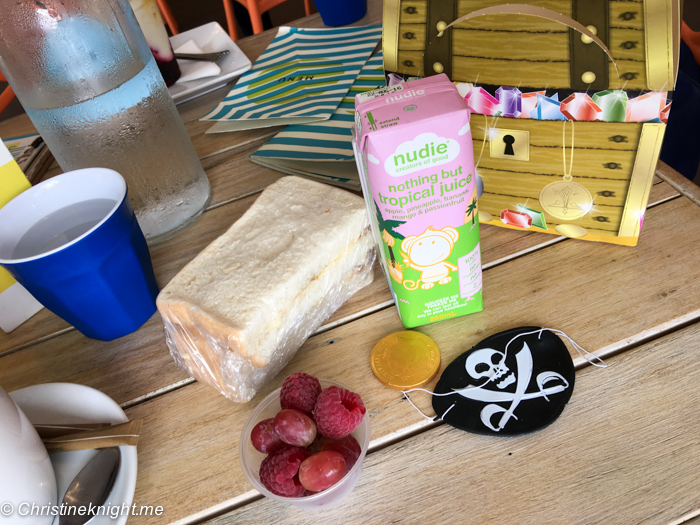 The lunch box was great value – a full-sized vegemite sandwich, a fruit cup, Nudie juice, chocolate coin and an eye patch. 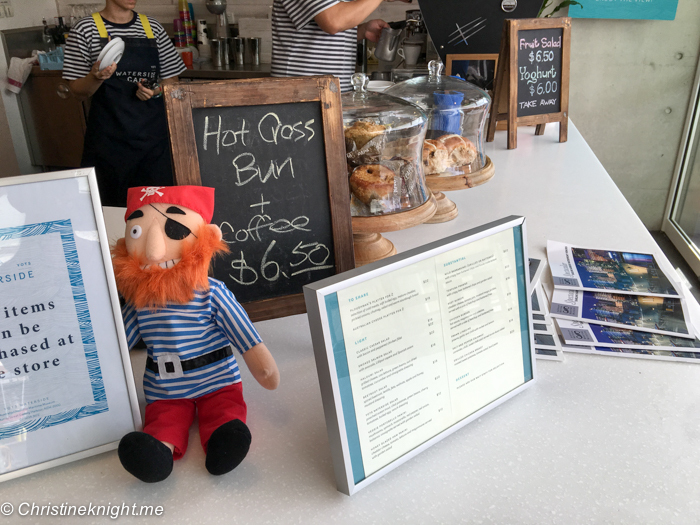 One of the best bits about the cafe is it is right underneath the Maritime Museum, so it’s easy to duck out for lunch or a snack, and then go back inside for more fun. 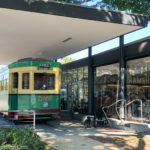 You get a break from the museum without having to go very far.